From the stunning natural landscape to the awe-inspiring views, from the glow on the locals' faces to the athletic prowess that shows itself on the trails and slopes, there are many forms of vibrant, healthy living in Lake Tahoe. Contributing to that vitality around the lake are all the great events that invoke a happier, healthier self. When it comes to living our best life, it helps to participate in the activities that make us shine, and here are five upcoming events that will help you shine as only Lake Tahoe can. 1. Community Yoga: Every Sunday Well Being Tahoe hosts a fantastic way to breathe into your healthier, happier self with their Community Yoga Class. The class happens from 10 to 11 a.m. and helps promote a deeper connection to inner peace while invigorating the body and spirit. The practice has an emphasis on fun and flow. All levels are welcome. Class price is $10. 2. Women's Cancer Support Group: One aspect of enjoying a life full of smiles is having a supportive community around you, even when health isn't at its most vibrant. To help women stay in connection with their glow despite an illness like cancer, feeling the love of community is vital. To assist with this, Barton Hospital hosts a support group that meets the last Tuesday of each month from 5:30 to 6:30 p.m. in their Mountain Cafe. The support group is a safe place to share in a confidential environment that lovingly supports women with cancer or a history of cancer, giving the opportunity to meet others and discuss challenges. This is a free gathering. 3. Weight Watchers Freestyle Program: Losing weight should never be a battle. Thanks to Barton Health and Weight Watchers, you have a team on your side helping you learn healthier eating choices. 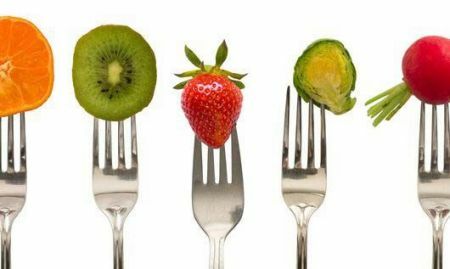 The gathering will discuss favorite delicious meals as well as free online tools to assist you in staying true to your healthiest weight. The event happens Wednesdays March 20 and 27 at 7 a.m.
4. 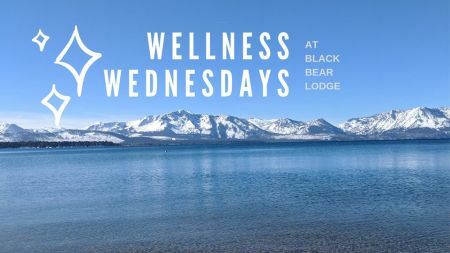 Wellness Wednesdays: Join Black Bear Lodge with their incredible Wellness Wednesdays. Every Wednesday from 5 to 7 p.m. enjoy $2 off a glass of wine while learning about local businesses that can help you with your wellness goals. This is a great way to come together and meet other people who are also looking to create a healthier approach to living life. 5. 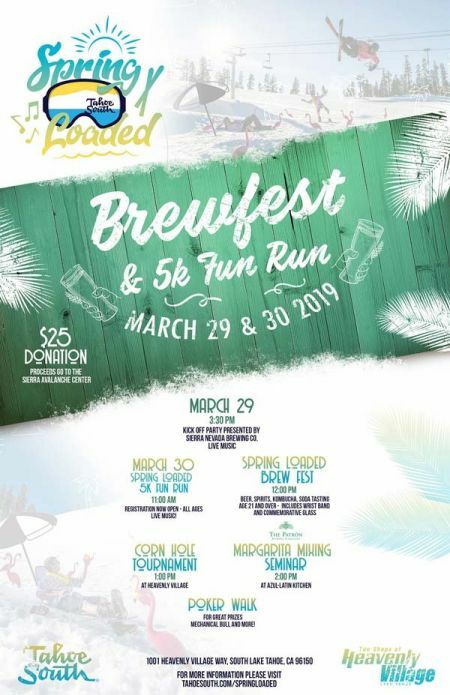 The Heavenly Village Spring Loaded Brewfest & 5K Fun Run: Take your health and well-being to the streets with the Heavenly Village Brewfest on Friday, March 29. The day will be filled with healthy fun including a 5K Fun Run as well as entertaining activities such as a home-brewers contest, a brewery speaker series, live music, beer tasting and delicious food. This is a day of enjoyment to celebrate your happiest, healthiest self. Not to mention, your $25 donation to participate goes to support the Sierra Avalanche Center, so you can go home at the end of the day knowing you did your heart and the community good. 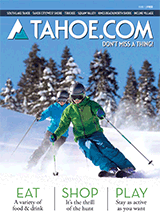 Please be sure to check out other great events on the calendar in the Tahoe area by visiting our Daytime and Nightlife sections.